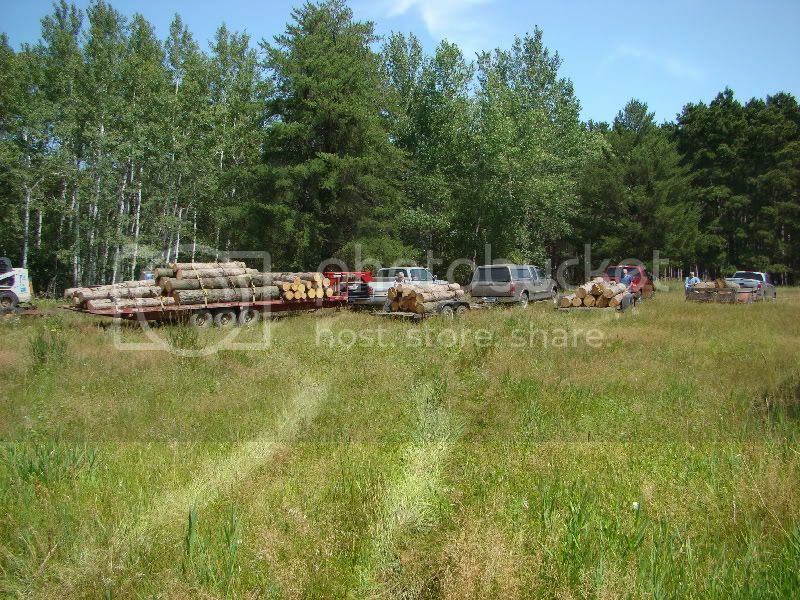 Pine logs hauled in for the 2007 show! Discussion in 'Earl's Mill' started by M Kerkvliet, Aug 10, 2007. 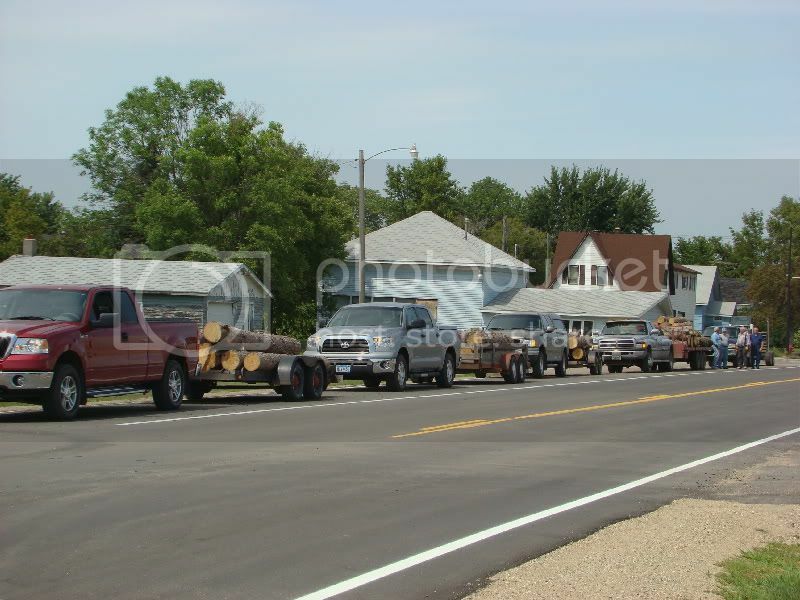 Recently a group of us, led by Merlyn Meyer went up to Gary, MN to a quarter section of land NW of the city known as the "Gary Pines" to load up with lumber for sawing in Earls Mill during the '07 show. Merlyn facilitated this deal with the city of Gary. 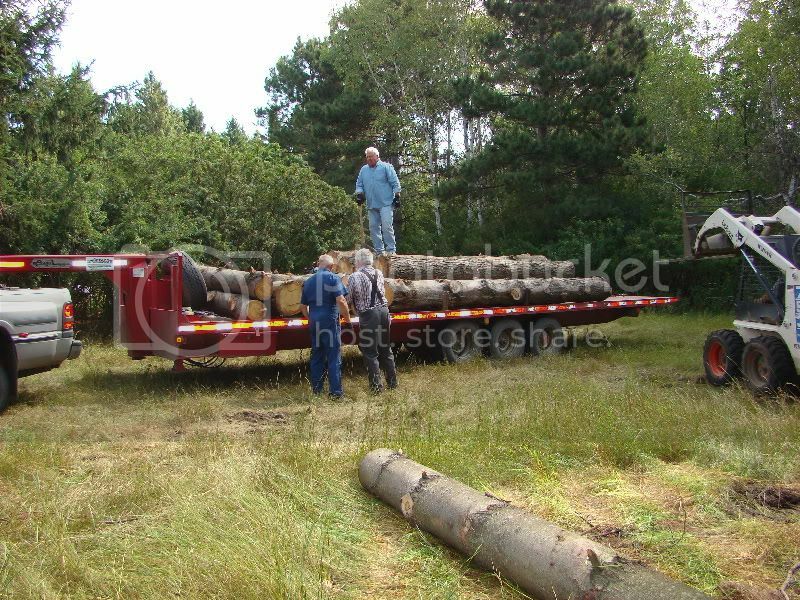 The plan, if it works out for all involved, is for us to purchase logs from Gary for many years into the future. This lumber that is cut from these logs in Earls Mill, is dried, planed, sorted, and eventually is used for buildings and other various projects on the show grounds. Here is a few pictures from the hauling day. Jim Ihry supervises loading of his trailer. He had a brand new tow vehicle that day... A Toyota pickup. I guess it made the trip alright. Worked great for hauling us all to lunch at noon! Merlyn did all of the Bobcat work. Here Jim Ihry, Dave Schreiner, and Lowell Stevens work on loading Jim Briden's trailer. 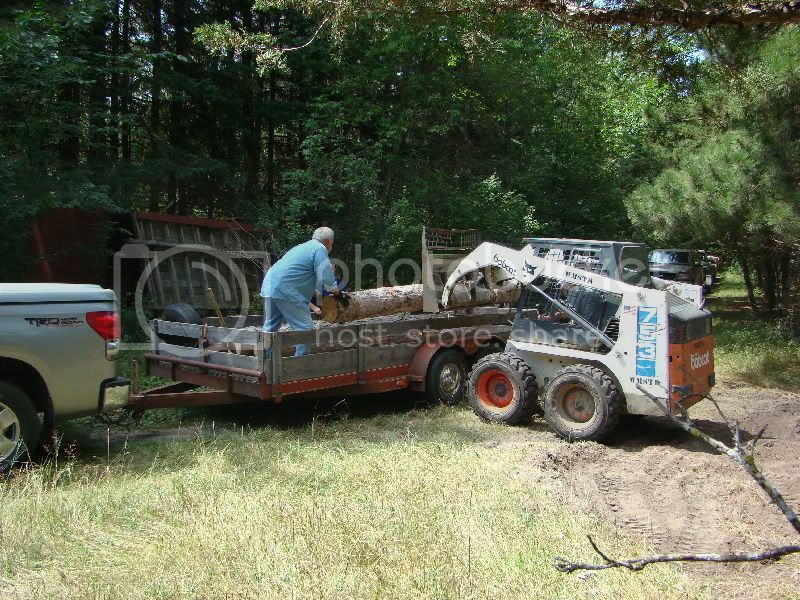 Thank you to Jim for allowing the use of his rig to haul the bulk of the logs. It saved a lot of trips with smaller trailers. Here we are all lined up getting tied down, and ready to hit the road for the trip to Rollag. From L to R, Jim Briden's rig (me driving), Dave Schreiner's rig, Lowell's Rig, and Jim Ihry's Rig all ready to go. It was a great day. Everything went well, nothing was broken, no flat tires, nobody hurt! Certainly the highlight was going over to the Meyers residence where Gwen had a nice lunch prepared for us! Thanks Gwen!